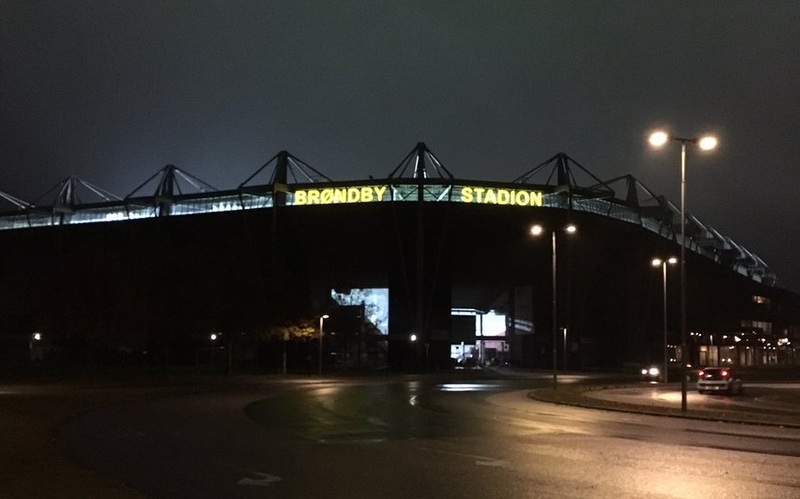 Only needing to keep a clean sheet to progress to the next round of the UEFA Women’s Champions League, Brøndby went one better and took the lead in the first half. Needing two, Juventus failed to get going, stumbling at the first hurdle in their first European campaign. Drawing a fine crowd to the Brøndby Stadion, there was little for the home support to cheer in the first 20 minutes, Juventus the team in ascension. Not as well worked as Rita Guarino would have liked, Katrine Abel was kept on her toes as the visitors looked to get their noses in front, needing to overturn the 2-2 first leg result. Unable to cut through the last line of defence in numbers, Juventus probed, testing out the defence but failing to claim any early advantage. Part-way through the first half, the hosts started to warm up, mounting their own attacks. The intent from the home side rather similar to that of their opposition, more about testing out the waters than diving right in. Previously unable to move the ball fast enough to get in and around the numbers in defence, Brøndby took an all-important lead just after the half hour when Nicoline Sørensen found herself behind the defence. Not drawing Laura Giuliani into a one-on-one but taking the shot as soon as she saw the opportunity, the young attacker fired low to the bottom corner to break the deadlock. Riding their luck at little deep in stoppage time and throwing in a pair of vital blocks at a free kick, the hosts managed to slip through to the break with their advantage intact. Having lost a high number of Danish internationals over the last two years, it had clearly taken its toll on the home team, the young side nowhere near as assured as it once was. The lack of polish clear to see as they broke into the box, halted by the numbers of the away side, the match unable to shake its stilted feel. A team still at the start of their journey, Juventus seemed to suffer with similar problems, their attacks slow and laboured, their defending nervous. A far more senior side in terms of personnel on the pitch, they struggled to come together and become greater than the sum of their parts, of even just as great. With all three substitutes on the pitch and little more than ten minutes left for the Bianconeri to find two goals, it looked like the task was too great for the fledgling team. A source of inspiration in their first leg, scoring both goals, Barbara Bonansea had slumped into anonymity in Denmark, the attack muted and disjoined throughout. Getting frantic, Cristiana Girelli tumbled to the ground in the box and not just waving away any appeals from the visitors for a penalty, referee Florence Guillemin duly showed a yellow card to the Italian. A late corner for the Serie A champions saw a flurry in the home box, but it did nothing to change the scores. Juventus’ debut season in Europe a short one, their match in Denmark a complete non-starter, but for Per Nielsen and his young team, they know they’ll be likely to face a sterner test in the last 16.